In celebration of the 35th Anniversary, G-Shock Singapore launched the “We The Gs” campaign which will feature three short movies starring three mystery collaborators. 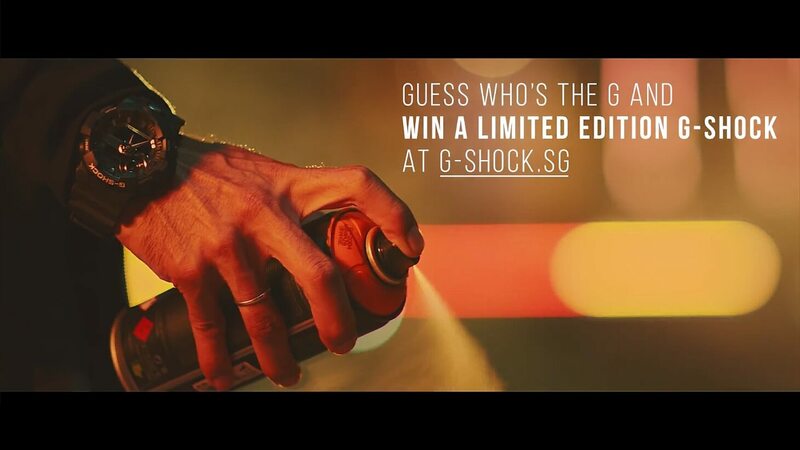 Viewers can submit their guess of “Who that G” is in each movie and have a chance to win a Limited Edition Anniversary G-Shock watch designed by that person. The movies are titled Vol. 1: SHOCK the Street, Vol. 2: SHOCK your Style, and Vol. 3, SHOCK your Stage. The campaign will run from 13 September to 31 October 2018 and each movie will be available at g-shock.sg. Entries are open to Singaporeans and permanent residents of Singapore. Winners will be invited to Singapore’s 35th Anniversary event in November 2018. The first movie is now available and features the G-Shock GA-710.